"Twice Each Week - The MASS CASH WINFALL from the Mass State Lottery"
The Mass Lottery (Massachusetts State Lottery) was created in 1971 once the General Court had legalized gambling amd lotto games throughout the State of Massachusetts. When first forming the Massachusetts Lottery – Mass Lottery – the overall aim was to generate funds to be made available to towns and cities within the State of Massachusetts and at the same time to provide an exciting and entertaining range of its own lottery games. The Massachusetts Lottery is run and administered by a five member commission that includes the Treasurer and Receiver-General of Massachusetts. The very first lottery tickets to be sold by the Mass Lottery were for “The Game” – a twice weekly lottery and these were first sold in March 1972. The Massachusetts State Lottery led the way in May 1974 by producing the very first scratch-off game to be seen when it introduced “The Instant Game” with a 1st prize of US$ 10,000. These days the Mass Lottery brings out between 24 and 48 new instant games each year and is not only a national leader in sales but is truly one of the most popular US Lottery companies. CASH WinFall was the Massachusetts Lottery jackpot lottery game that replaced Mass Millions and was a traditional-style, jackpot lotto game. It was initially introduced by the Mass Lottery back on September 9th 2004 with the very first CASH WinFall draw taking place on September 13th. The Mass Lottery CASH WinFall lottery used a matrix of 6/46 and the jackpot always used to start off at US$ 500,000. When the CASH WinFall jackpot prize was not won – it was always added onto the next draw as a rollover and it increased in size like this draw after draw until it was eventually won. If the jackpot was not won by the time it reached US$ 2 MILLION – the top prize used to then “Winfall“ down to the lower prize levels and increase the size of these prize levels by up to 10 times. The Mass State Lottery – CASH WinFall – was drawn twice per week on Mondays and Thursdays at 11.20pm local time and you could catch the Mass Lottery results on the live drawings that were shown on WCVBTV Channel 5. Mass CASH WinFall was discontinued on January 26th 2012. The Mass State Lottery – CASH WinFall – used what’s called a 6/46 matrix which means that when playing the CASH WinFall, you needed to select 6 numbers from a pool of numbers from 1 to 46 – if you matched all 6 numbers drawn then you were a jackpot winner. There were prizes to be won on 4 other prize levels too – if you matched either 5 of the 6 numbers drawn, 4 numbers, 3 numbers or even just 2 of the numbers. A Quic Pic facility was available when playing the Mass State Lottery CASH WinFall similar to the Lucky Dip option that is used in the UK National Lottery or Europe’s EuroMillions or many other USA lottery games – which means that you could save time by asking the lottery retailer or computer to select all your numbers for you. So actually playing the Mass Lotto CASH WinFall lottery was easy…you just needed to select your own 6 numbers or request them to be randomly selected for you. The cost of each entry into the Mass Lottery – Cash WinFall – was US$ 2.00. Unlike many of the US lotteries today that commonly use a Random Number Generator (RNG) to make their draws – the MA Lottery still used the traditional method of numbered lottery balls to draw their Cash WinFall lottery game. Before each live draw took place – three test drawings were undertaken to ensure that everything was working just as it should be. Mass CASH WinFall – Who Can Play? As with most USA Lottery games – previously only citizens living in Massachusetts State were allowed to play in any of the Massachusetts State Lottery games including the CASH WinFall – you used to have to purchase your MA Lottery tickets from an authorized retailer based within the state. Nowadays though – there are a good number of online lottery ticket sales agencies such as TheLotter who are both authorized and genuine – you were able to select your Massachusetts Lottery numbers online and purchase your tickets without worrying about where in the world you are living. 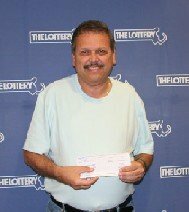 This was great news of course if you live outside of the State of Massachusetts and the U.S.A. and wanted to play the Massachusetts State Lottery – CASH WinFall – and ensure your entry into the draw or just wanted the simplicity and convenience of being able to buy lottery tickets online. Once you had entered into the CASH WinFall draw – you could then easily check your chosen Massachusetts Lottery results online to see how you have done and to find out if you had become one of the lucky CASH WinFall winners. Like nearly all other USA lotteries – in Massachusetts you needed to be 18 years of age to be eligible to purchase a ticket for any of the Mass State Lottery games including the CASH WinFall.